Which 3D Android smartphone is king: HTC's EVO 3D or the LG Optimus 3D? TV manufacturers have been keen on 3D technology in recent times and now it seems the 3D world is being transferred to smartphones, too. LG was first to market with the Optimus 3D — early enough to be crowned the world's first 3D smartphone — and HTC has closely followed with the EVO 3D. 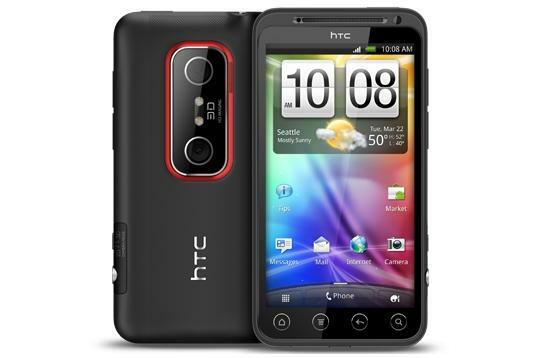 Read our comprehensive reviews of the HTC EVO 3D and the LG Optimus 3D and check out our roundup of the best upcoming smartphones in 2011. Though some might consider 3D a gimmick, there is no doubt the glasses-free technology is genuinely impressive in action. Does HTC's EVO 3D nail the concept or can the LG Optimus 3D be crowned king of the third dimension? Both the HTC EVO 3D and the LG Optimus 3D are large, chunky smartphones. This is due to the fact they each have dual-cameras that allows them to capture stereoscopic 3D images and videos. Despite its bulky frame there is plenty to like about the HTC EVO 3D's design. The black edges are made from sturdy-feeling aluminium, the rear battery cover has a grippy, plastic surface that makes the phone slip-resistant, and the touch-sensitive shortcut buttons below the screen are responsive and backlit. We also like the metallic red edging that accents the two camera lenses and the machined aluminium shutter key. Annoyingly, the camera lenses protrude from the back of the EVO 3D, so the phone doesn't sit flat on a desk or table. It's also pretty heavy at 170g. The LG Optimus 3D is even larger than the EVO 3D even though it weighs a mere 0.2g less. On the upside it feels well constructed: the back cover doesn't creak or rattle and the combination of plastic with metal highlights gives it a premium look and feel. We particularly like the brushed metal strip on the rear of the phone, though the lack of dedicated shutter key is a downside. The HTC EVO 3D has a 4.3in 3D touchscreen but the big draw card here is its resolution: the 540x960 pixel panel makes it a quarter HD (qHD) screen. 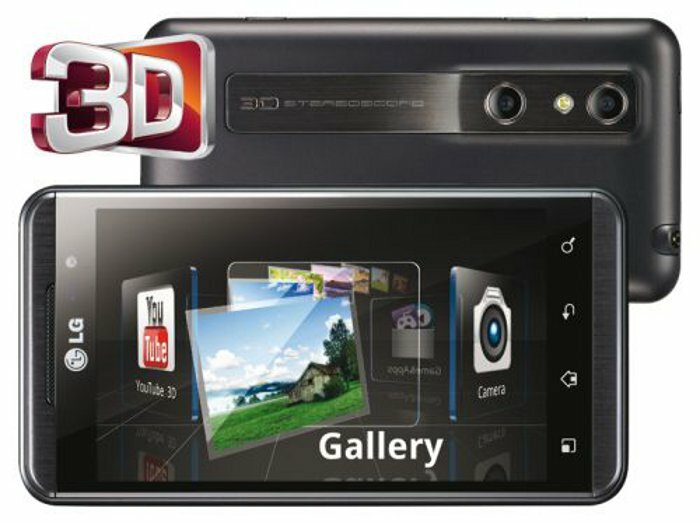 The EVO 3D's screen means you will see more of a website at once and will also benefit video playback and mobile gaming. Text is noticeably crisper than many of its rivals, including the popular Samsung Galaxy S II. The LG Optimus 3D also has a 4.3in 3D touchscreen and it uses the same LCD technology as the EVO 3D. However, it has a less impressive resolution of 480x800. It's still bright and clear and ultimately there is nothing wrong with the screen, but it's not as crisp or sharp as the EVO 3D due to its lower pixel count.